I was blown away by My Little Eye; I’ve been looking forward to reading it since I first heard that it was being published and I wasn’t disappointed. Stephanie Marland, who also writes the fantastic Lori Anderson series as Steph Broadribb, has created a brilliant cast of characters in her new series, I can’t wait to find out more about them. In My Little Eye we are introduced to Clementine Starke and murder squad detective DI Dominic Bell. The police are investigating a series of murders which have taken place, DI Dominic Bell fears that a serial killer may be at large, the killer is known to the police and the press as ‘The Lover.’ Fed up with the lack of progress the police are making, an online crime group become determined to solve the murders, their main objective: to beat the police. Clementine joins and soon finds herself embroiled in the mystery. But soon her world and Dominic’s collide and Clementine soon realises that she has put herself very close to danger. Can they catch the killer before they kill again? What I really liked about this book is the unique premise. In police procedural novels we are used to the police investigating and solving the crime; what I found interesting in My Little Eye was Stephanie’s use of true crime addicts who are desperate to beat them. It was intriguing to see how a group of amateurs could solve a crime without the resources the police have and without the means to go and interrogate witnesses and potential suspects. Could they really do a better job? We all like to play armchair detectives and try to work out ‘who did it’ ourselves so it was fascinating to see this group in action. This really did well in adding to the pace of the novel as both sides raced to stop the killer from striking again. The characters, who were part of the online crime group, alongside Clementine were intriguing, although most of their interaction takes place online, you can begin to see connections forming and you can definitely see where the group is splitting apart. I was curious to see if they would all maintain their commitment. Both Clementine and Dominic held my attention from the start. They both have interesting back stories which will make you want to find out more about them. I really liked the chemistry between them in this book, this is something that I am hoping will be explored further, and there is another book on the way. 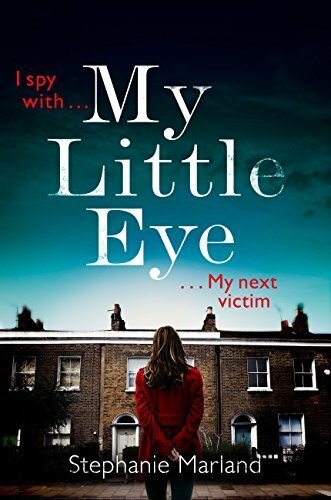 My Little Eye is a great start to a thrilling new series; I can’t wait to read the next book. Loved this book review. It was very upbeat, and gave a great and intriguing impression of the book. I liked the observations, for example about the amateur detectives. I’ve bought it and put it on my reading list. I will review it on my website http://www.datingdaisy.net.